I’ve borrowed the title of this blog from Sir Richard Branson’s new book Screw Business as Usual partly to get your attention but also to flag the speed with which old concepts are being discarded in the business community at large. 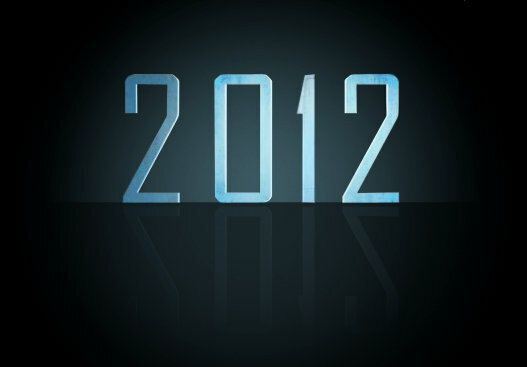 2012 could well be that the year made infamous by the Mayans for being the year in which we tip from one Era to another. Business gurus are climbing over each other to be the first or the loudest to refute Milton Friedman’s assertion that the purpose of business is exclusively to make a profit. 2012 will be the year the profit cart will be moved back behind the purpose horse and capitalism, as we knew it, will experience a profound makeover. The names they have independently applied to describe this emergent form of capitalism also vary from Capitalism 2.0; Conscious Capitalism; Good Capitalism; Creative Capitalism, New Capitalism, Caring Capitalism and, thanks to Sir Richard, Capitalism 24092.
conducting business as usual will only produce more of the same problems that challenge humanity today. The enterprises that differentiate themselves by “making a difference” will enjoy higher brand equity and profitability than those focused primarily on profit. Like many good yet revolutionary concepts, those underpinning Conscious Capitalism are not as young as the current spate of authors might have you believe. It’s important to recognize that these authors stand on the shoulders of giants whose names are not as familiar to contemporary audiences but whose thinking created the compost for the current flowering. My source of inspiration in the 1980s were Willis Harman, founder of the World Business Academy and John Renesch who first coined the phrase “conscious capitalism” in 1990 as Editor-in-Chief of New Leaders Press. Sadly Willis passed away in 1997 unable to witness the revolution taking place now but one of his last interviews shows the clarity and prescience of this thinking. John Renesh is fortunately still very creative and his latest book, The Great Growing Up, should be included in this anthology. This is the reason why we’ve brought this debate to tourism through an initiative called Conscious Travel and we think 2012 is the year to start some serious conversations. We’re inviting members of one of the world’s most pervasive industries to stop, re-think and re-make how and why they do tourism. We’re asking them to “wake up” to the unexamined assumptions that have guided their behaviour; to “grow up” and take more responsibility for all the stakeholders affected by their activities and to “step up” and join the pioneers listed above listed above.